It isn’t just the big-ticket changes that really “make” your home renovation project – if you ask us, the little details are equally important! Little things can have a big impact when it comes to the comfort of your home. Today, we’ll be focusing on the practical applications of light in your home. 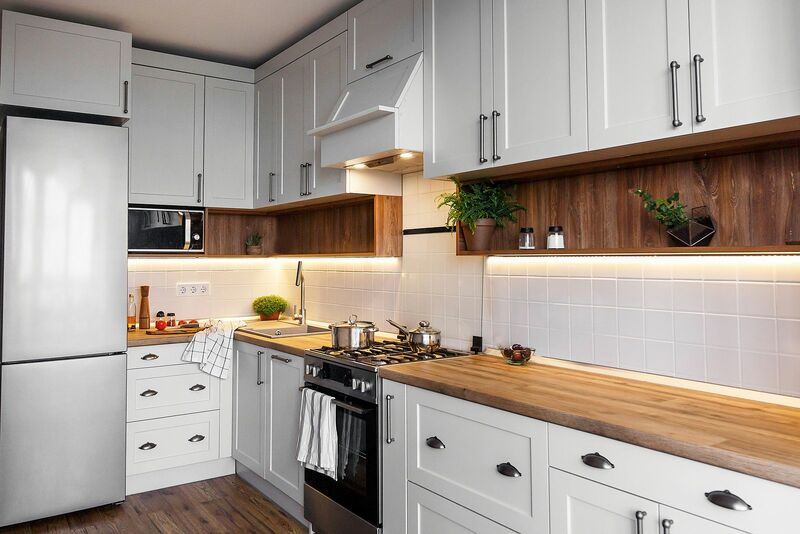 In particular, we’ll be focusing on some lesser-known ways lighting can improve your home: applications such as cupboard, cabinet and wardrobe lighting! Why install cupboard, cabinet, and wardrobe lighting? You open a cupboard, looking for something, where you’re greeted by a dark cupboard. You can’t see anything whatsoever, so you fish around with your phone, looking for the flashlight app. It’s a bit of a first-world problem, we know. Of course, that doesn’t make it any less annoying! Cupboard, cabinet and wardrobe lighting offers a convenient solution. Did you know? Around 10% of the typical household energy bill is made up of lighting. Therefore, energy-efficiency should be one of the first things you look at. Under cabinet, inside a wardrobe, and on top cupboard lighting helps you to be energy efficient as light is directed to where it should be. Light is not wasted to other parts of the room, thus causing energy efficiency and it is used specifically to areas where under lighting is most needed. Even if you don’t fancy yourself as an interior designer, most of us will agree that your cupboard and wardrobe lights need to fit in seamlessly and look fantastic. Unfortunately, that rules out DIY! The last thing you want is extension cables and awkward drilling lying around the place. You’ll want your lights to sit flush with your cabinet, wardrobe or cupboard. A professional electrician – and only an electrician – can perform the electrical work required to install a system that fits in seamlessly with your home decor. It sounds pretty basic, we know. That said, it’s important that you establish this before calling your local sparkie! Are you aiming for a set of lights to draw attention to the wardrobe where you keep your prized wine glasses? Or is it to help navigate the cupboard where you keep all your spare knick-knacks? Should they be on all the time? Or should they have a switch? Puck/down lights – compact in size, puck and downlights are perfect for cabinet lighting. Since they’re so low-profile, they fit seamlessly with your home. Be warned however, they also require extra cutting and drilling on your part! Rope lights – if you’re renting your home and need a non-permanent lighting solution, rope lights are perfect. Similar to Christmas lights, these can be hung anywhere. However, they can be unwieldy and awkward. Another thing you’ll need to think about when it comes to cupboard lighting? Your wardrobes and cupboards themselves, naturally! Many lighting jobs will need new wiring installed. It needs to be made of materials that are strong enough or thick enough to support new lighting installations. And unfortunately, not all cupboards and wardrobes can handle that! During this stage, you’ll want to get in touch with your local electrician. They’ll be able to tell you whether new wiring is feasible, as well as what type of light (see above) is best-suited for the job. You mightn’t notice since most lights are installed in your ceiling, but certain lights tend to run hotter than others. While this isn’t normally a problem, it can become one when talking about cupboard lighting. The issue is that the items in your cupboard will be a lot closer to the light. As such, they might receive a real beating from your cupboard lighting. It isn’t just heat, either. Lighting temperature can also refer to the colour temperature, and how “warm” or “cold” the light is. Certain types of bulb can emit yellow light, while others emit a harsher blue light – this can completely change how your cupboard feels once lit up. We recommend asking an electrician for their professional opinion. Depending on your shelving layout and what you plan on putting inside, they’ll help you figure out a suitable temperature. That is the question indeed! Nowadays, a wall-mounted switch isn’t the only option for your wardrobe or cupboard lighting project. Imagine having the lights just… turning on when you open your wardrobe, without having to touch anything! Even if you do decide to go with a traditional switch, there’s still the question of where the switch will go. The wall outside? Inside the wardrobe or cabinet? Each of these comes with different wiring requirements. Try to DIY it. Electricity is dangerous, and many lighting jobs will need new wiring, switches and sensors installed. Don’t risk it! Choose incandescent bulbs or halogen lights. These types of lights are old and run hot. Depending on what’s in your wardrobe or cupboards, this could cause fading, or worse. Overdo things. Most cupboards and wardrobes are small areas – you don’t need multiple lights when a single bulb will do the job. Choose LED lights. If you ask us, these are the best choices for tight spaces like wardrobes and cupboards. They’re cool (temperature and colour-wise), not to mention the most energy-efficient option on the market. Keep your lights at a safe distance. Items like certain types of clothing are flammable. While the risk is low, there’s still a small chance that the items in your cupboard could ignite! Talk to a Melbourne electrician. It’s the only way to ensure your wardrobe, cupboard and closet lighting project goes smoothly! 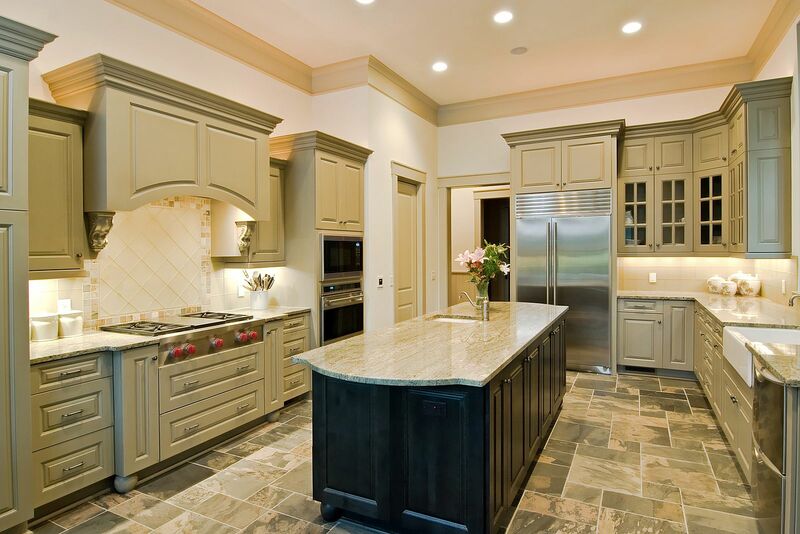 Are you thinking of including cupboard, cabinet, and wardrobe lighting as part of your home improvement plans? If so, you’ll want to get in touch with Briggs Electrical! Our expert electricians in Melbourne are masters of all things electrical. Our team has over 10 years experience designing and installing electrical solutions for all sorts of jobs big, small and weird. And that includes wardrobe, cupboard and cabinet lighting. Contact our team of electricians in Melbourne today on 1300 300 222 or book a job with us today by filling this form.